When Google+ was first launched, the company was very adamant about having “real” people be a part of their community. This made the overall feel of the social network more genuine. 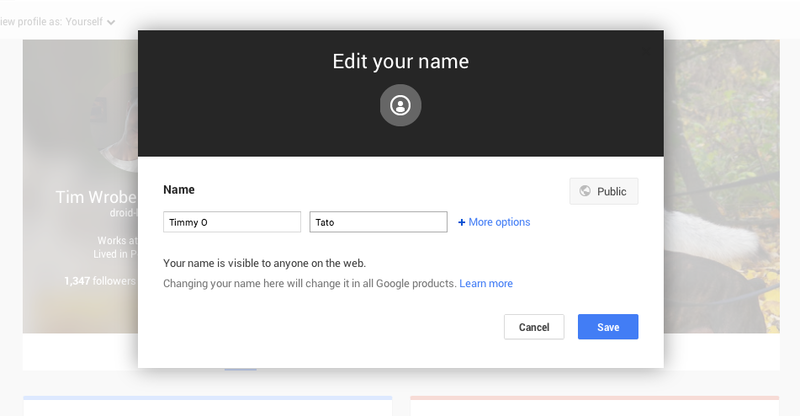 As years have passed, Google is now relaxing a bit about the name you can use on your profile, allowing those who wish to remain anonymous to still be a part of the G+ community. Starting today, basic users (non page owners) can change their name to whatever they would like. This could be “Mister Fantastic” or even “Penguin Lover.” It’s up to you. To edit your name, because Google+ is an absolute maze of settings and categories, go to the top right where you see your profile picture. Click it. From there, hit Account. Then, “Edit Profile.” Once you are on your G+ page, you can select to edit your name to whatever you would like. We assume you can’t use curse words still (unconfirmed), but it’s not like you were going to try that anyways, right?